IF THE National Bureau of Investigation (NBI) 7 cannot produce more evidence, especially corroborative statements from supposed witnesses against the 17-year-old they arrested and charged in connection with the gruesome murder of 16-year-old Christine Lee Silawan, it will be an uphill battle for the agency and government prosecutors to attain conviction. In fact, the NBI has suffered a “temporary setback” at the Lapu-Lapu City Prosecutor’s Office when the latter ordered the release of the accused, questioning the manner how the suspect was arrested, saying it did not fall under hot pursuit. 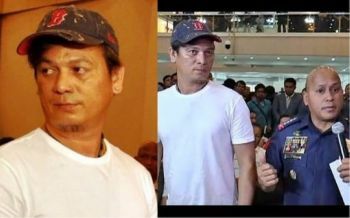 As of this time, the NBI submitted only CCTV footage showing the suspect and the victim together, a cap with a bloodstain and a statement of a supposed witness identifying the accused as the boy in the CCTV footage. But relatives and friends of the accused claimed he was not the one in the footage. As of this time, the NBI has adopted the “last seen theory,” meaning the last person seen with the victim is considered as the culprit. Nobody witnessed the killing. The “last seen theory” as a facet of circumstantial evidence is a weak kind of evidence if conviction is to be solely based on it. However, if there are incriminating circumstances coupled with the last seen theory, then the same is a corroborative evidence to implicate the accused. “Last seen together” cannot be the only ground for holding the accused guilty, a connectivity must be established. The circumstance of “last seen together” does not by itself and necessarily lead to the inference that it was the accused who committed the crime. In GR 146689, People of the Philippines vs. Ferdinand Monjey et. al., the Supreme Court en banc reversed a lower court decision convicting an accused based on “last seen theory.” This jurisprudence has similarities to the Silawan case. On the evening of April 24, 1997, Imee Diez Paulino asked permission from her mother to play bingo at the house of their barangay captain in San Jose del Monte, Bulacan. Three days later, Imee’s lifeless body was found lying in the ricefields naked with several injuries and fractured skull. She was also raped. Michael Cordero, a prosecution witness, testified that he saw the victim back-riding in a motorcycle with the accused, Ferdinand Monjey, with three others that evening. Monjey denied committing the crime, claiming he was already sleeping at that time. The Bulacan Regional Trial Court convicted Monjey on the basis of the testimony of Cordero and another witness even though Cordero failed to attend succeeding hearings. Monjey also fled upon the filing of the information, which the court viewed as a sign of guilt. But actually nobody saw the crime being committed. The three other companions were acquitted.